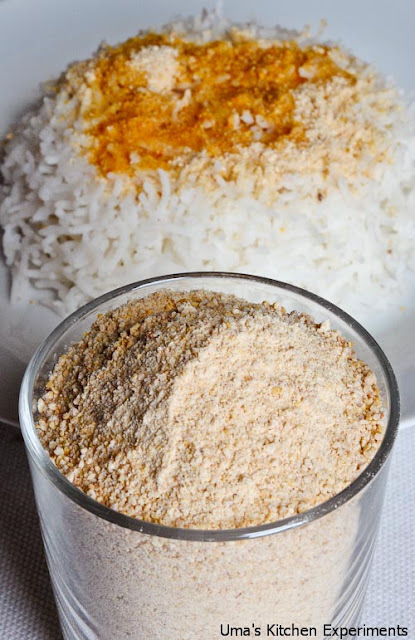 Idly Karam Podi is a kind of spicy powder which is served with idly and dosa. 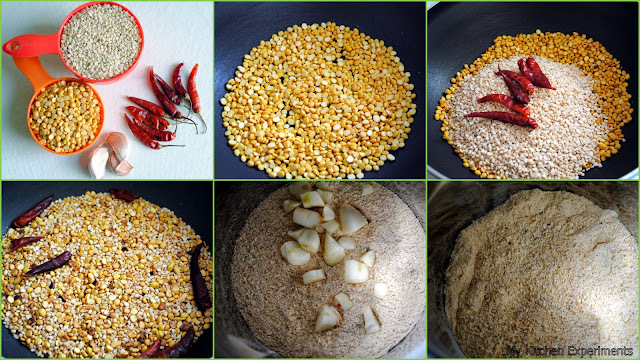 It has key ingredients of channa dal and urid dal. At my home, we call it as Karappodi and it is my favorite among all podies. It tastes good when mixed with hot boiled rice. Since i like this combination, i also eat this podi with rice. This powder has many variations and it slightly differ from the one which i blogged here. It is mixed with oil to the ratio of 1:2 (1 teaspoon powder: 2 teaspoon oil) while serving for Idly/Dosa. 1) In a dry pan, add channa dal and dry roast it. 2) After few minutes, Add urid dal, red chillies. Dry roast all the ingredients till they become golden brown. It might take 10-15 minutes. 3) When dry roasting is done, allow it to cool. 4) Add the roasted dals into the mixer/food processor and grind it to a powder. 5) Towards the end of the grinding, add the chopped garlic cloves and grind for few minutes. 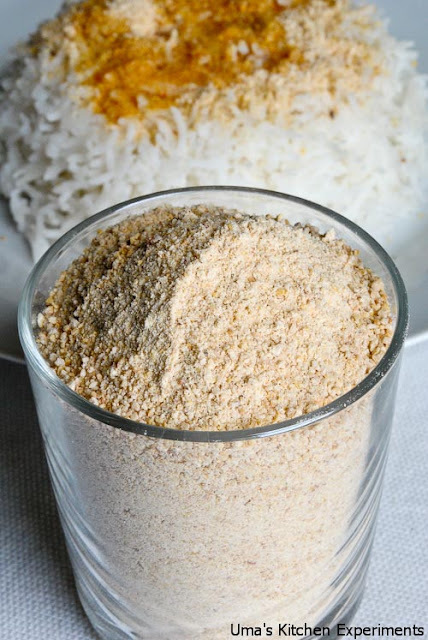 6) As per your liking, grind it to a smooth powder or coarse powder. thank u for the sweet words on my blog and happy to follow ur culinary adventures ! Thanks for visiting my space...Love your recipes and clicks...happy to follow..
Aromaatic n flavorful ~ lovely blend of spices!